Not a lot of reading/watching happened this month. I was working on finishing up my next book (yay!) 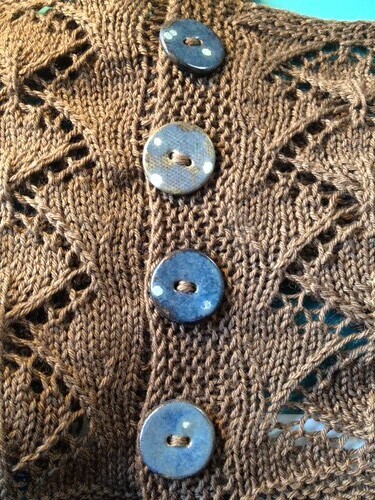 and getting ready for Vogue Knitting Live (double yay!). There was a lot of listening to my Straight No Chaser Pandora station. :) I did manage to sneak in some reading and watching though. 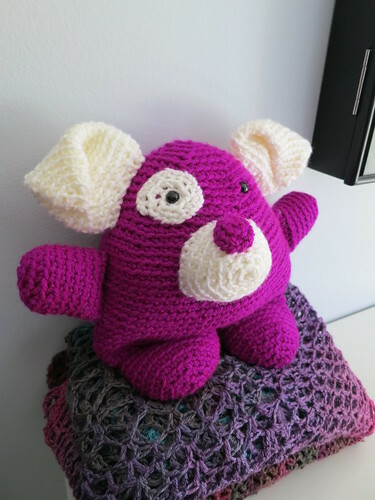 My knit and crochet group is trying to reinstate "Knitting Book Club." A couple of years ago we would try to pick a book and discuss it once a month. I never finished a single one that time. But this round...success! I loved this book. I switched between reading on my Kindle and listening to the book from Audible. 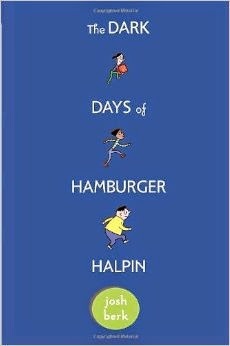 Then I read The Dark Days of Hamburger Halpin. I seriously picked it by going to my "to-read" list on Goodreads and sorting the books by number of pages. It was one of the short ones (~250 pages) so I bought the Kindle version. I liked this book. I found it pretty predictable, but it was still a fun read. 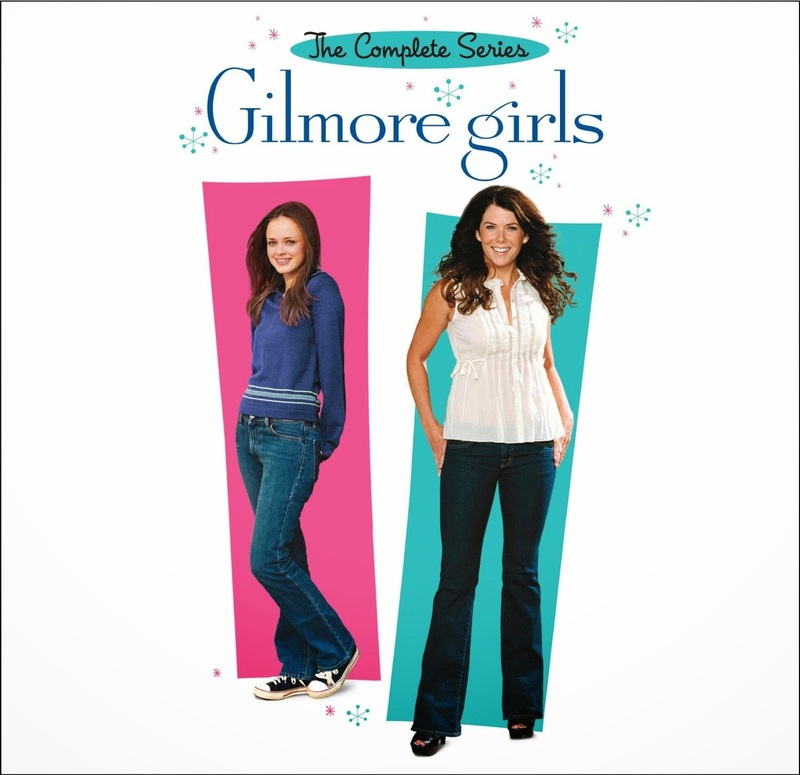 I started watching Gilmore Girls (it's now available on Netflix! ), but I'm only 3 episodes in so far. That's pretty much it. I'm hoping in November I have a little more time to read/listen to books! 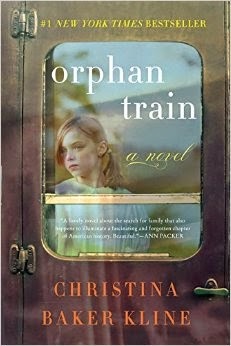 What are you reading/listening to/watching? As you know, I love adding things to the queue. Wondered what I read last month? Check out this post. I think I'm at the last knitter on the planet to cast on for a Wingspan. 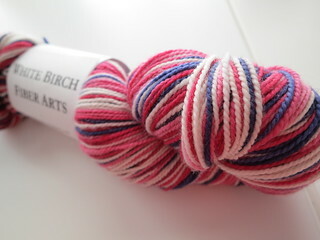 I bought this yarn when I headed to the yarn shop for only a knitting needle the other week. The yarn just screams my mom. She loves yellow and orange. On top of that, the yarn is acrylic & elastic - perfect for my wool-allergic mother. At first I thought about knitting it into socks, but then decided a scarf/shawl would be more fun. 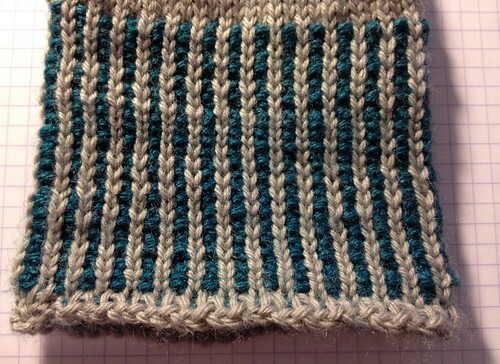 I love the garter stitch with the stripes. The yarn is Plymouth Diversity. Good yardage. Inexpensive. And stripey. A winning combination for me! I'm enjoying the pattern so far. I can definitely see why it's such a popular one. So that's my WIP Wednesday - what are you working on? 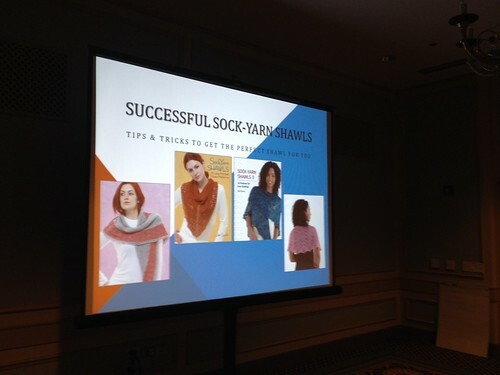 This past Friday, I had my first go at teaching at a big knitting convention - Vogue Knitting Live. It was such an incredible expereience, and I hope I get the change to teach at VKL in the future! My day started out teaching Lovely Lace Borders, one of my most popular classes and one of my favorites to teach. I had a great time with my students. 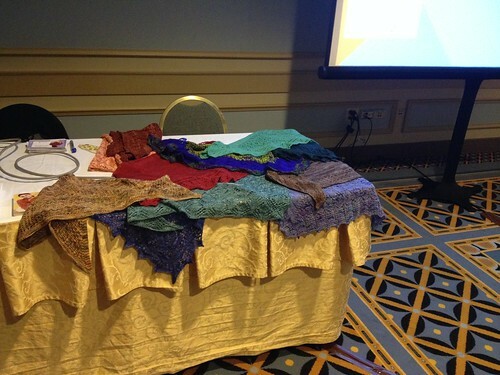 Lots of great questions and we discussed lots of uses for the borders, not just on shawls. I absolutely love when people can take the things in my class and figure out how to apply it to the things they like to make! After class I gave a 1-hour lecture: Successful Sock-Yarn Shawls. Almost 100 people signed up for lecture. I was a little bit nervous about the lecture in the days leading up to VKL, but when it came time to give it, I weirdly wasn't nervous. Probably because the knitters are so nice and it felt like I was just talking to a bunch of friends! I also brought lots of shawls for people to check out. It was really a great day! 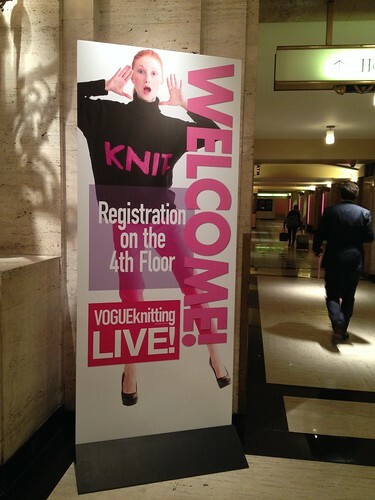 Were you at Vogue Knitting Live in Chicago this weekend? If so, what classes did you take/what yarn did you buy? This is a superwash merino/nylon blend from White Birch Fiber Arts. People were going crazy for it at Stitches East and tweeting about it, and I couldn't resist. Gradient plus stripes!?!? That is awesome! 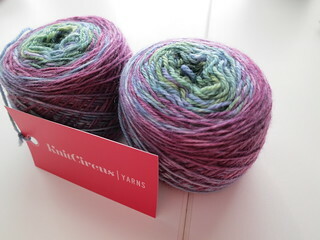 I'm very very excited to try this new KnitCircus yarn. 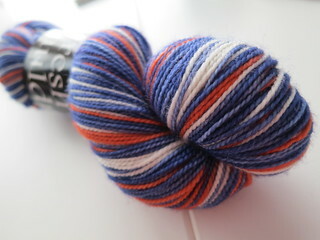 Yeah, of course I was going to buy yarn based on my favorite football team, the Bears. It would've been silly to not to. I usually make socks with the stripey yarn, but I may turn this skein into mittens or fingerless mitts...so I'll be ready for the cold should I ever get to go to another Bears game. 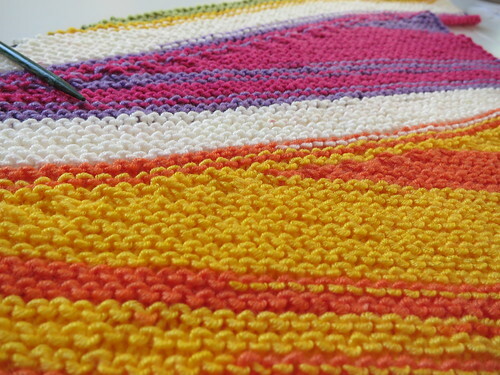 Do you have a favorite self-striping yarn? Let me know - I'd love to hear about it! I have a new love affair - corrugated ribbing. Today at 11 A.M. central time you can check out my chat with Benjamin on the Fiber Hooligan podcast! I've been listening to the Fiber Hooligan podcast since the beginning and I think it's a great one for learning more about the fiber arts industry. Hope you enjoy it! I made these way back in 2008. Back when I was into making all the socks. 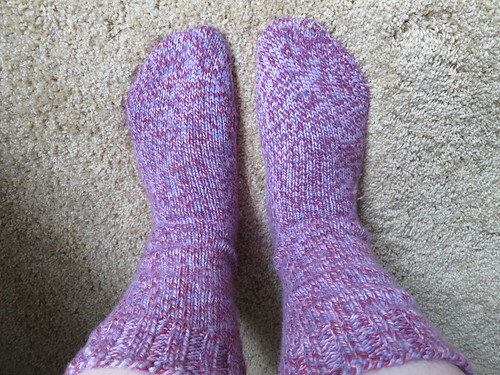 (I just checked my Ravelry project page....I've only made one pair of socks in the last year, so sad, but I digress). 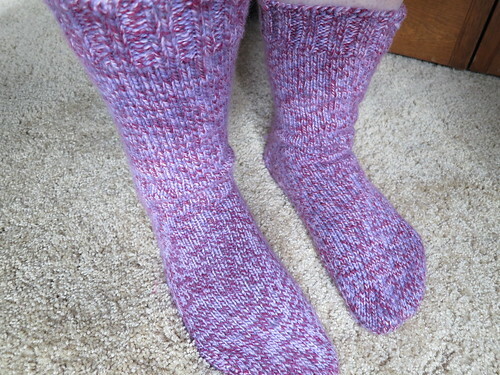 I love these socks because they are so warm -- knit out of worsted weight yarn. They were my favorite while field sampling in the winter when I was still working at the lab. Kept my feet nice and toasty even when I was knee deep in snow! These socks are made out of Louet Gems Worsted. They've been washed in the washing machine tons (but never put in the dryer) and they are holding up great! There is the smallest amount of pilling, but with the number of times they have been washed or gotten wet in my work boots, I am quite impressed with their durability. Most of my socks from the great sock knitting obsession of 2007-2009 are long gone, but not these babies. I will be wearing them for years to come! Do you have a favorite pair of socks? Tell me about them! 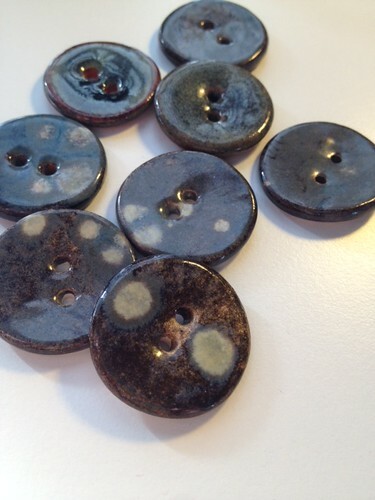 Stacey is now selling safety eyes! 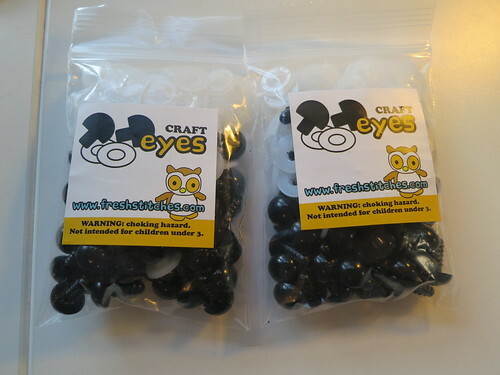 I got the 50 pack of 12mm eyes. 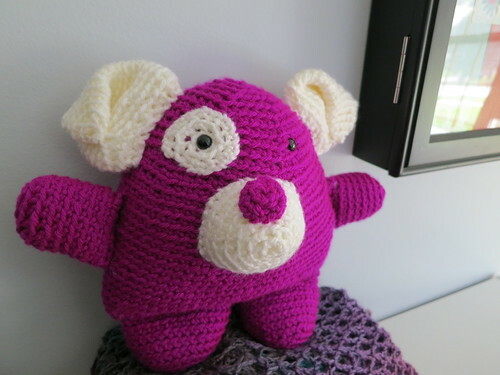 Now I'll be ready to make a zoo full of the FreshStitches' collection. Next up in the queue of cuties is Sammy the Starfish, Jonathan the Bumble Bee, and Nelson the Owl. There is also my latest kit from the kit club, but I don't want to spoil the surprise for the few who haven't received theirs yet! It was three years ago today, but it seems like yesterday that Alex and I were walking down the aisle. This last year has been pretty awesome. Here we are on my last day working in the lab. 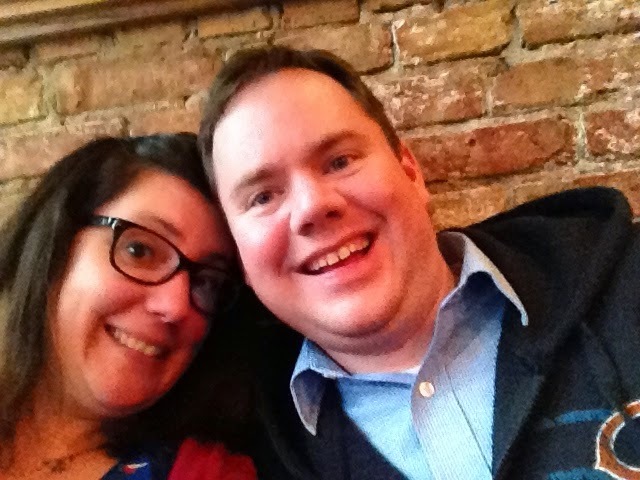 I feel so lucky to have a husband that supports me so much and was behind my decision to leave a good, stable job to do the thing I really love. 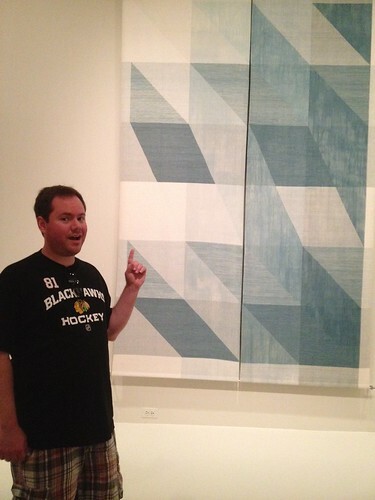 I love that I have a husband that while in the city he will go to textile related exhibits at the Art Institute. 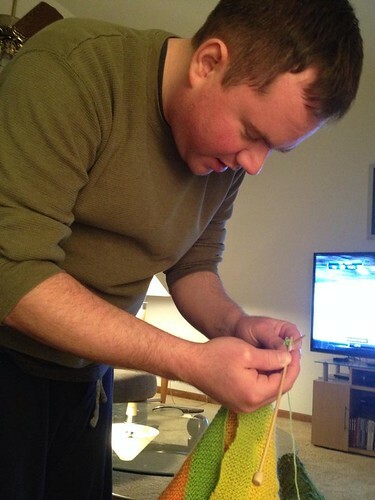 And I love that when I need cheering up, he will try to knit. Because there is little more hilarious than watching Alex awkwardly try to knit. This year has brought so many exciting things, and I think has been the best year yet! I can't wait to see what's next! 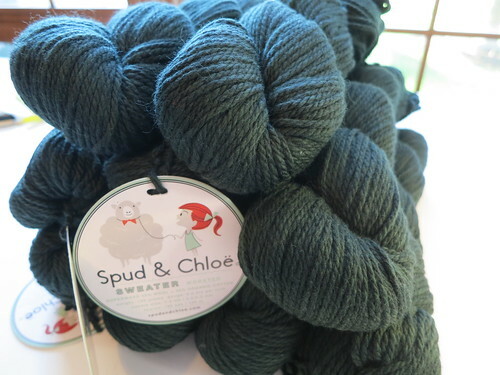 It's Spud & Chloe Sweater. It's 55% Superwash Wool/45% Organic Cotton. The color is Pine Needle, which is a lovely forest green. 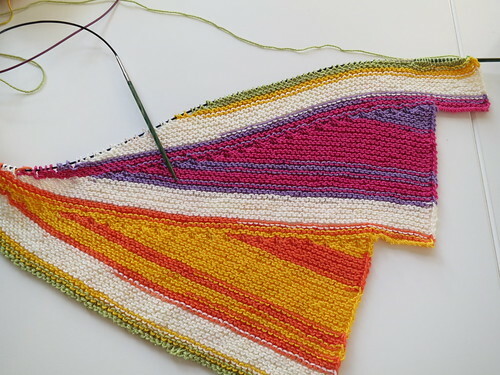 I can't wait until my book is done at the end of the month and I can start on this sweater (and probably a million other things...I have been fighting wanting to start all the things pretty hard these days. Procrastination - I'm a champion!). Have any sweaters you plan to knit this fall/winter? I want to hear about them! 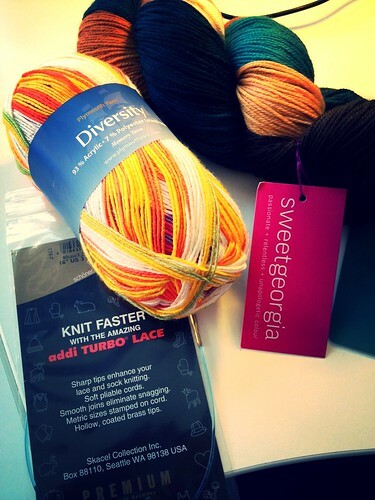 (I also have plans to make a Pumpkin Ale and something/everything from Everyday Lace). It's possible that when I am in the middle of a book deadline I will procrastinate with any other project. I really have been finishing things up here lately! Haha. So of course I have something else to show off. It's Ashton, from Stacey's Ashton Mystery CAL! This guy was so fun to make. Easy too! I love the shape! I hope Stacey designs more animals with this shape. He took just a couple of days, stitching in between manuscript writing. The perfect, fun break!